As travellers, we all seek something. Some are looking for unique experiences, some seek to make friends, to explore life, some are seeking to get in touch with nature. The purpose of travelling is to broaden the traveller’s horizons with varied experiences, allowing them to discover themselves. Whether you travel seldom, or have left everything to explore the world, a destination that is overflowing with a variety of experiences is always ideal. In the last few years, Iceland has become a tourist magnet. Home to the northern lights, travellers and tourists from around the world visit this beautiful country just to witness the magnificent Aurora ny people fail to realise (at least before they reach Iceland) is that Iceland has much Borealis. But what more to offer than that. If you wish to tour around Europe, do check out Italy tour packages. Today, I want to talk about once-in-a-lifetime experiences that the land of Ice and Fire has to offer. These are not the best or the top destinations of the country, these are unique experiences that make Iceland the perfect addition to your bucket list. The Golden Circle is the perfect combination of varying landscapes, unparalleled natural beauty and a taste of Icelandic history and culture. The three main destinations that fall inside the golden circle are Thingvellir(Assembly fields), Gullfoss(The Golden Waterfall) and the Geysir geothermal field. Blue Lagoon in Iceland is again a destination worth visiting, which is at a short distance from The Golden Circle. Thingvellir is the site of the Althing, Iceland’s general assembly, which was started in 930 AD, and happens to have the longest continuous history among all assemblies formed in the middle ages. Not only is Thingvellir a place of great importance in Icelandic history, it is a feast for those who appreciate unique geology. Gullfoss is one of the major attractions that tourists flock to and is celebrated for its unrelenting beauty and sheer might. 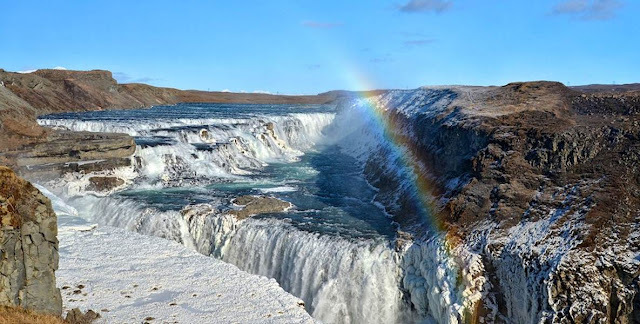 Situated in the canyon of the glacial river Hvítá (Hvita), the waterfall appears golden in bright sunlight and a rainbow can often be spotted arching over the whole site. Geysir geothermal field is the place where the water heating device in your home got its name from. This is one of the many places in Iceland where the volcanic heat reaches the surface creating bubbling pools, hot springs, pouring steam and magnificent colours. 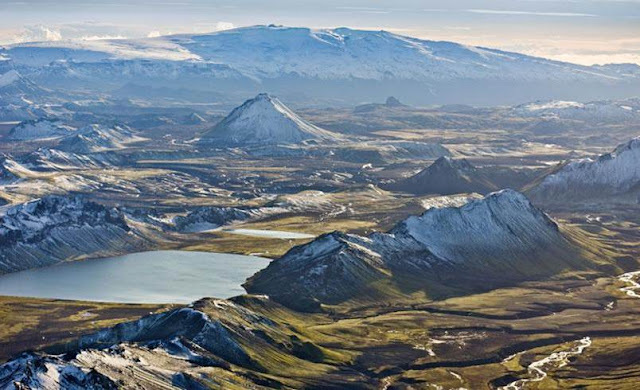 The Icelandic highlands are the perfect destination for the adventurer inside you. With sometimes brutal weather conditions, accompanied with the most rewarding views the highlands are full of old viking stories and curious trekking trails. The whole area boasts solitude and barren beauty. Only vegetation you can see is near the shores of glacial rivers. But hidden in this barren land is the treasure of breathtaking, mighty waterfalls and rivers that flow with roaring loudness, that sometimes seems capable of challenging the wrath of a God. Though intimidating at first, the highlands offer an experience of sheer adventure with natural beauty that is beyond imagination. 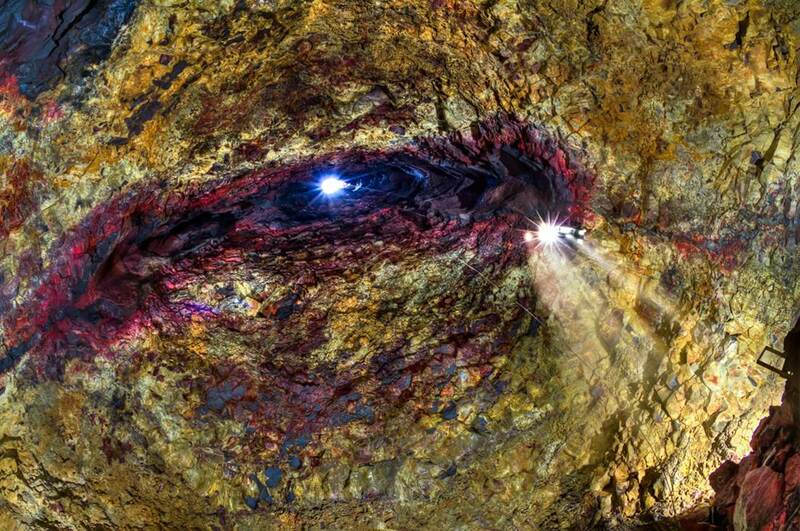 EVER BEEN ON THE INSIDE OF A VOLCANO? No, that isn’t a typo, in Iceland, you can experience the inside of the magma chamber of a volcano that has been dormant for over 4,000 years. Discovered by Árni Stefánsson in 1974, the Thrihnukagigur volcano provides an opportunity to roam around, touch and feel the many coloured rocks and a guided tour through the inside of a perfect magma chamber (without the magma, of course). This is an experience that only a handful of people get to know, so don’t miss out. As mentioned earlier, this post does not the cover the most visited or the most ‘amazing’ places that the Realm of Fire and Ice has to offer. There's a lot more to see and feel around the country, all around the year. Whether it is the endless sun of summertime or the awe inspiringly beautiful Aurora Borealis, Iceland is truly a land of rich culture and unmatched natural beauty. Make sure you put it on your bucket list! Omg that volcano! I've climbed a volcano before but I've never actually been INSIDE one! Incredible!! Iceland, aaaaah. My ultimate bucket list! The inside of the volcano is really surreal.. hope to get a chance someday to visit Iceland. Iceland is definitely on my bucket list. I wonder when I will only be able to go as there are still so many nearer, cheaper destinations left unexplored! OMG. It was so amazing and beautiful. Does they have like a package or we have to go backpacking there? Beautiful place. Now Iceland is definitely on my bucket list. Another one is because of the aurora! Saw my friend picture of them during nightime was just amazing! Yes! I would like to visit Iceland if I could!